Consider this, you could simply purchase the S&P 500 ETF (SPY), collect the dividends and match the market outcome from the comfort of your favorite golf course or beach! If your account performance did not at least match the overall market returns in 2015 would if not make sense to ask your adviser, “why”? I encourage you to invest a small amount of time to learn a little expertise on how to use derivatives to continually lower your cost basis. This simple addition to your trading arsenal will improve your returns and your probability of profit! Armed with this information you will outperform 99% of the “money-sucking” financial experts! If you have read any of my previous articles on the merit of managing your own money you are well aware of my passion to encourage every investor to become “self-directed”. I implore you to not allow one more case of what the behemoth Bear Stearns did with my retirement account happen to anyone else! You would be surprised how little involvement it would take for you to take control of your financial future. You still have to question how the brightest and best, with almost unlimited resources, (through the generosity of the fees you pay) can do no better than 50%. I want to make it clear that this is in no way an indictment on either of the firms that I selected for this article or for that matter any other firm or expert. What I am merely trying to do is show using tangible data that stock picking is basically a 50/50 shot! If you have followed my previous articles it should be no secret that “stock-picking” is 50/50 proposition. In all fairness there is in fact an upward drift so it is closer to 53/47 when you have a statistically significant sample size to evaluate. Of course everyone will “hit” on one or two “home runs” occasionally and they will trumpet their heroics! Sure, you can get lucky picking stocks. But you really are not putting the odds in your favor unless you use the sale of derivatives against your long stock positions to lower your cost basis and subsequently increase your probability of profit. To make my point I believe it is incumbent upon me to offer a few examples of how the “geniuses” performed with their stock or fund picks. 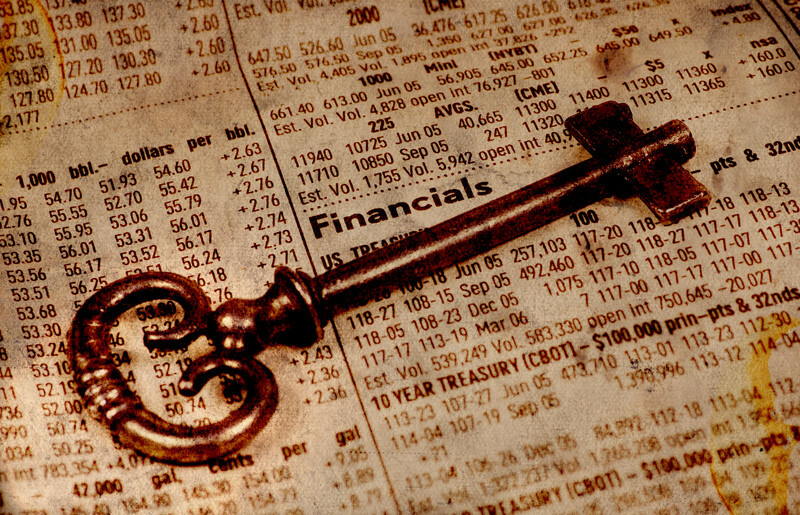 In this article I selected two of the most prominent “stock pickers” in the financial space. For this article I chose two of those high profile “experts”. Kiplinger and Barron’s will be analyzed in this article. (There will be more “experts” to come in subsequent articles). In an effort to keep the evaluation a simple process, I “Goggled” the “Best Stock Picks for 2015” from each of these “experts” and recorded the 12/31/14 closing price for each stock or ETF. On 12/31/15 I recorded the closing price for each stock or ETF in the list. I subtracted the 12/31/15 closing price from the 12/31/14 closing price and generated the net gain or loss for each stock pick. Where applicable I collected the dividend information and included that in the total returns. I did not include entry and exit commissions. To effectively evaluate the combined returns, I assumed that the risk for the entire list would be allocated equally over the portfolio. I assumed that there would $1000 invested in each stock or ETF. Of course a retail investor cannot buy fractional shares so each $1000 investment was rounded to the nearest whole number of shares. The difference between the beginning investment and the ending investment is the gain or loss in dollars. I also divided the gain or loss (for 2015) by the 12/31/14 closing price to calculate a percentage gain or loss for each underlying security. Here is summary of the results. The detail can be found in the attached PDF’s. To summarize the results of this analysis, Kiplinger and Barron’s collectively chose 35 stocks for their “Best Stocks for 2015”. Kiplinger’s had 9 winners and 16 losers. Barron’s had four (4) winners and six (6) losers. If you invested $1,000 in each of Kiplinger’s picks your total investment would have been $25,019. On 12/31/15 you would have suffered a net loss of $2,021 (including dividends). $1,000 invested in each of Barron’s “10 Best” would have been a total investment of $10,136. On 12/31/15 you would have suffered a net loss of $458 (including dividends). If alternatively you invested in the SPY, the total investment would have grown to $35,147 on 12/31/15. You would have realized profits of $544. By investing $35k in the SPY in lieu of $35k invested in Kiplinger’s and Barron’s picks your 12/31/15 account balance would have been $3,023 greater. If you are using a “professional” money manager whose fees typically range in the 1% to 2% of portfolio size the results would be poorer. Back to my original point. You could have invested your money on 12/31/15 in the SPY and took the year off to return to a larger account balance than either of these two examples. As I continue to analyze more “top picks of 2015” I will find some “experts” that had great years and others that really struggled. My goal is to reach a statistically significant sample size of several hundred “top picks”. Good Luck in 2016! Watch for continued updates to this analysis on www.optionsmeister.com. Want to learn how to use derivatives to lower your cost basis and increase your probability of profit? Call me………239.272.3424 I answer my own phone! !